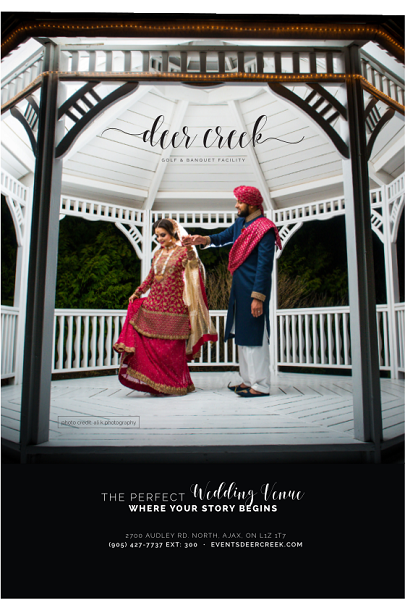 Set the stage for a spectacular wedding at Deer Creek Banquet Facility, one of the most magnificent venues in the Durham Region and GTA. As a soon-to-be bride and groom, you have dreamed of the perfect wedding day; one that truly reflects who you are as a couple. One of the most important decisions you will make in planning your wedding day is choosing the right setting. 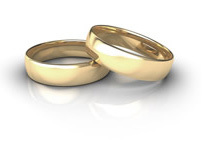 Let Deer Creek help create the start of your happily ever after. Deer Creek Banquet Facility is a fabulous facility that offers the right mix of elegance and beauty with a touch of extravagance. What makes the venue truly unique is its capacity – not only in size, but also in its ability to create the perfect atmosphere. The scrumptious menus, great service, and graceful surroundings are sheer perfection – extraordinary and unforgettable! Each room has its own private terrace, overlooking the golf course. No matter where your wedding is held, the views are breathtaking. Deer Creek Banquet Facility is located near Toronto in Ajax, Ontario. If you are looking to book your wedding in our area, be sure to check out our exceptional facilities. We are pleased to offer you our most popular packages to review. We’ll work with you to create the perfect menu to make your special day especially exceptional! We can host your Shower, Rehearsal Dinner and Engagement Party too. We invite you to come in for a tour and see the beauty of Deer Creek for yourself.